This Law regulates the lease relations, establishing the objects and subjects of lease relations, their rights and obligations. In lease relations, the Lessee possesses and uses, on a contractual basis and for a payment, the assets belonging to the person who leases them out. The owner, particularly individuals and legal entities from Moldova and other states, shall enjoy the right to lease out assets. A Lessor may also be an individual or legal entity empowered by the Owner. A Lessee may be an individual or legal entity from Moldova and other states, joint ventures and organizations, stateless individuals, international organizations. The republic’s law shall determine the participation of individuals and legal entities from other states, as well as of stateless individuals, to lease of assets on the territory of the Republic of Moldova. Lease is allowed in all national economic branches. Assets of all ownership types and forms may be leased. The following can be leased: land and other natural resources, enterprises, organizations, units of enterprises and organizations, buildings, installations, premises, agricultural and other machinery, transportation means, inventory, instruments, other material goods. Jointly agreed upon with the pledge creditor, the pledged object can also be an object of lease (pursuant to Law no. 229-XIV of December 16, 1998). The law shall establish the types (groups) of enterprises and organizations, kinds of state assets that are not allowed for lease. The lease and other legal ties related to it shall be regulated by this Law and other legislative acts. The key document to regulate the relations between the Lessee and the Lessor shall be the lease agreement. Such agreement shall be signed in writing for a specific period, not greater than 99 years (pursuant to Law no. 417-XIII of March 29, 1995). The lease agreement shall be concluded based on direct negotiations or based on auction results, in the form agreed upon by parties, by stating the object and term of contract, the lease payment, observing the requirements of this law (pursuant to Law no. 237-XIV of December 23, 1998). The right of lease to real estate for a period over 3 years shall be subject to mandatory registration in the real estate registry within 3 months as of concluding the lease agreement. Failure to observe this deadline shall bring upon invalidity of agreement. Upon Lessee's request, a right of lease for a period of less than 3 years can be also registered. Registration of right of lease shall be performed under Law on Real Estate Cadastre (pursuant to Law no. 237-XIV of December 23, 1998). other conditions which do not contradict the law. The rent and its payment procedure shall be set by the owner and shall be stipulated in the lease agreement. For state owned assets, the procedure for establishing the rent shall be set by Government (pursuant to Law no. 311-XIV of March 10, 1999). The rent shall be established for all leased goods or separately for each leased object, in-kind, or in cash or both. The rent size can be changed by the owner, while for state owned assets - by Government, in case the prices, tariffs, amortization (depreciation) payments or standards regulated by state are changed, as well as in other cases provided by law (pursuant to Law no. 311-XIV of March 10, 1999). In addition to the rent, the Lessee shall pay all taxes provided by law, unless the law or agreement assigns such to the Lessor. The Lessee shall have the right to request a rent reduction, if the assets state or use conditions, stipulated in the agreement, have essentially worsen due to circumstances not accountable to the Lessee. The Lessor shall be required to convey the Lessee the assets in a state conforming their designation, stipulated in the agreement. The Lessor shall not be liable for any assets defects, stated in the agreement. Where the Lessor does not pass in time the leased assets to the Lessee, the later shall have the right to request such assets from the Lessor as well as a compensation for damages caused by a delinquent execution of the agreement, or to cancel the agreement and request a compensation for damages caused by failure to execute the agreement, pursuant to the Civil Code. 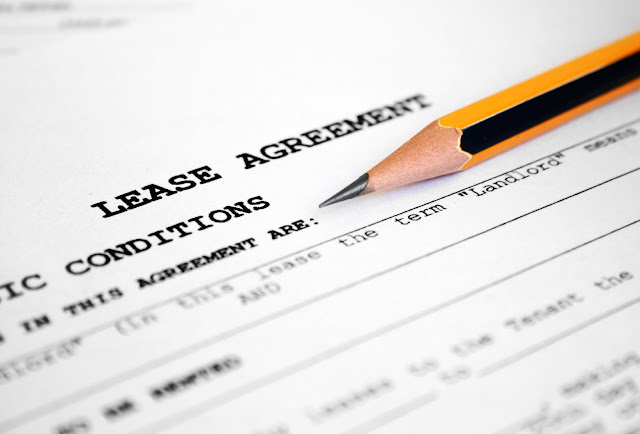 The Lessee shall have the right to sublease, fully or partially, the leased assets (except land and natural resources) upon Lessor’s consent, unless the law or agreement provide otherwise. In this case the Lessee shall remain responsible under the agreement before the Lessor. The Lessee shall be required to maintain and use the leased assets according to their purpose and the agreement. The Lessor shall be required to repair on his own account the leased assets, unless the law or agreement provide otherwise. Where the Lessor fails to fulfil his/her obligations as to the repairs, the Lessee shall have the right to perform urgent repairs and request the Lessor to compensate the repair costs. Lease shall not bring upon conveyance of ownership to that property. The production obtained by using the leased assets and the revenues therefrom, as well as the assets acquired using such revenues shall belong to the Lessee, unless the agreement provides otherwise. Upon agreement’s expiration or its cancellation, the buildings and installations which cannot be moved, built on the leased land by the Lessee upon Lessor’s consent, shall become the Lessor’s property, unless the contract provides otherwise. In such case the Lessee shall have the right to request a compensation of their cost. Upon agreement’s expiration or its cancellation, the buildings and installations which cannot be moved, built on the leased land by the Lessee without Lessor’s consent, shall become the Lessor’s property. Where the later request the structures demolition, the Lessee shall be required to demolish these on his/her own account or compensate the Lessor all costs associated with demolition. Where the leased assets are improved with Lessors permission, then the Lessee shall have the right to request, upon agreement expiration or cancellation, a compensation of all expenditures incurred for such purpose, unless the law or agreement provide otherwise. The Lessee may take any improvements to the leased property done without Lessor’s permission, upon expiration or cancellation of agreement, provided that such improvements can be separated without causing any damage to the leased property or the Lessor does not agree to compensate the Lessee their cost. Any improvements made without Lessor’s permission, which cannot be separated from the leased property without causing direct damage to it, shall pass free of charge under the Lessors’ ownership, upon expiration or cancellation of agreement. The Lessee, upon Owner’s consent and of the person empowered by him, can redeem, pursuant to the law, fully or partially the leased assets. The law provides for cases in which any redemption of the leased property is limited or forbidden. The Lessee, pursuant to the agreement, shall conduct an independent economic activity and shall dispose of the obtained production and income. Any interference of the Lessor in the use of leased assets, in the Lessee’s economic activity is not allowed. The agreement can be amended upon consent of both Parties. One Party can request an amendment to the agreement only in cases provided by law or by the agreement. Where the economic agent - the Lessor reorganizes, or the owner of leased property changes, this shall not serve as basis to amend or cancel the agreement. The agreement shall cease upon expiration of its period, upon liquidation of the economic agent, destruction of leased property, its deterioration or redemption by the owner. Any premature cancellation of the agreement shall be done upon consent of both Parties. The agreement can be cancelled upon request of one Party only based on a court decision in case the other Party violates the agreement (pursuant to Law no. 1322-XIII of September 25, 1997). The agreement shall be cancelled also in case the land and other natural resources is expropriated for public and social needs. Upon expiration of the agreement concluded with the Lessee, who is a citizen, the preferential right for signing a new agreement shall have the Lessor’s family members, who live or work together with him. Where the Lessee (who is an individual) dies, the successor of his rights, pursuant to the agreement, shall be one of his/her family members who lived or worked with him, provided that such member wishes to be a Lessee. The Lessor shall have no right reject the exercise of rights of the new successor, unless the lease agreement was determined by certain professional skills of the deceased Lessee. In case of any dispute among the Lessee’s family members, right to have priority in concluding the agreement shall be decided in court, given the real possibilities of each member (work capacity, professional training and other skills). - Lessor has not passed in time the property to the Lessee. The Lessee can request the agreement cancellation in case he/she becomes physically disabled or is declared incapable, or if he/she serves a sentence for committing an infringement or any other punishment which does not allow for further execution of the agreement. The preferential right, in the above mentioned cases, to conclude the agreement shall belong to one of the Lessee’s family members who has worked or lived together with him. After expiration of agreement, the Lessee shall be required to return the property to the Lessor in the state the Lessee has received it given the normal amortization, or in the state provided for in the agreement. Where the Lessee worsens the leased property, he/she shall repair the damages caused to the Lessor, unless proves that such worsening happened not through his fault. The persons (family members, sub-lessees, etc.) whom the Lessee allowed to use the leased property shall be deemed as guilty as the Lessee. Where the leased property is deteriorated before expiration of the use period stated in the agreement, the Lessee shall compensate the Lessor the property’s residual value, unless the agreement provides otherwise. The enterprise property can be leased by one or more individuals and legal entities. A lease company can be founded as a legal entity for purposes of leasing out enterprise property. The procedure and conditions on foundation and operation of such lease company shall be established by Government. For lease of enterprise property, the employees of such enterprise shall enjoy a pre-emptive right to conclude a lease agreement, other conditions being equal, irrespective of whether a lease company is or not founded. The lease contracting is a form of legal ties within an economic agent. Such ties are based on a lease contracting agreement between the economic agent which leases out and the Lessees, presented by one or a few citizens which are employees or member of the economic agent in question. The principles of lease contracting shall be set by Government. The Lessee’s right to the leased property shall be protected equally as the ownership right. The Lessee can request for restitution of leased property from any illegal possession, request a liquidation of obstructions to its use, a repair of damages caused to the property by any person, including the Lessor. No foreclosure shall be used for clearing the Lessor’s debts out of the leased property. The property can be taken from the Lessee only by court decision (pursuant to Law no. 788-XIII of March 26, 1996). Where the leased in land is expropriated for state or social needs, the new land user shall compensate the Lessee the caused damages. The Lessee shall be distributed, upon request, another parcel of equal value, the existing lease agreement being amended by parties consent or ceased. For failure to fulfil or improper fulfillment of contractual obligations, including for agreement amendment or its unilateral cancellation, the culpable Party shall be liable under the agreement and law. Where the state authority which leased out the property of a state enterprise or organization has insufficient funds, the owner of such property shall be liable before the Lessee for the state authority’s obligations. Any disputes arising during conclusion and execution of the agreement, its amendment and cessation shall be settled by the competent court (pursuant to Law no. 788-XIII of March 26, 1996). 1.The Law on Lease shall be effective as of its publication day. - bring its decisions and other normative acts in conformity with the above mentioned Law. 3.The Law on Lease shall not apply to rent of dwellings. 1. Last phrase of Art. 7, paragraph 1 shall be excluded. Art. II – This Law shall be enacted as of the publication date. (1) The profession of lawyer is performed by qualified persons authorized by law, plead and act on behalf of their clients to practice law, to appear before a court or to consult and represent their clients in legal matters. (2) The profession of lawyer is free and independent, autonomous organization and, under this law and the profession of lawyer. Lawyer activity is not entrepreneurial. e) establishing how the admission to the legal profession. e) ensuring the legality and humanism. The lawyer legal activity is in the Constitution, this Law and other laws governing the legal profession mentioned in the statute and international treaties to which Moldova is party. (1) Everyone has the right freely to choose their lawyer to advise and represent it in legal matters. (2) The State shall provide access to qualified legal assistance to all persons under this law. (3) Individuals and legal entities may benefit, as required, the legal assistance of any lawyer by agreement of the parties. (4) In cases provided by law, pay for qualified legal assistance is paid from state budget. (5) Based on the status of the person, the lawyer may provide legal assistance free of charge it. (6) Attorneys in Moldova have the right to meet some delegations or to practice as a lawyer in other countries, if required by law. (1) Lawyers from other states may practice as a lawyer in Moldova, subject to the conditions provided by law, except the requirement of citizenship is. (2) A lawyer from another state may conduct business in the Republic of Moldova if an attorney certified in its home state and is enrolled in the special register kept by the Council of Association of the Republic of Moldova, hereinafter the Union of Lawyers. (3) A lawyer from another state may be individuals or legal interests in court and in relations with other public authorities than in international commercial arbitration. In case the client's interests so require, and at his request, the attorney can assist another attorney in Moldova. (4) The Ombudsman may conduct business from another lawyer in the office or in the office of associate lawyers on a contract basis. (5) Register of lawyers from other states are entitled to practice as a lawyer in Moldova is published on the official website of the Union Association. Conditions, volume and the application by lawyers of state-guaranteed legal assistance shall be established by the Law on State Guaranteed Legal Aid. e) participate in criminal investigation and judicial debates in criminal cases as an advocate or representative of the victim, the civil party, the party civilly liable and witnesses. (2) Legal assistance described under par. (1) c) and e) by a person or entity not a lawyer be punished, unless the law provides otherwise. (3) Attorneys granted physical and legal persons and other types of legal assistance not prohibited by law, both in case of single delegates, as well as for long-term delegations. (4) The procedure for granting legal aid lawyer can come true copies and extracts of documents and certify signatures on necessary documents for legal assistance. Lawyer can not perform these actions for themselves, family members, relatives and in-laws for. (5) The actions specified in par. (4) shall be certified by signature and stamp of the lawyer, with date and reference to compliance with the original. Legal assistance provided by the lawyer must comply with best professional practice in legal, substantive and procedural rules and result in a proper and professional conduct. (1) The profession of lawyer can be exercised by the person holding the nationality of the Republic of Moldova, has full legal capacity, has a Bachelor Degree in Law or equivalent, enjoys a flawless reputation and was admitted to the profession after examination qualification. (2) shall be exempt from the internship professional qualification examination and those who hold a Ph.D. and those with at least 10 years work experience as a judge or prosecutor if, within six months after the resignation from office that have requested a license to practice law. The same rights and benefits and those same conditions, after his resignation as judge and prosecutor, continued to work in law. f) the court decision, it was an abuse that it violated human rights and fundamental freedoms. (4) The provisions of paragraphs. (3) applies and trainee lawyers. (5) The lawyer has personal stamp. d) other activities that harm the dignity and independence of the legal profession or morals. (2) may not be providing legal aid lawyer representing the interests of the courts in some other way than under a contract legal registered office associate lawyer or lawyers office. Exceptions are cases representing the interests of his / her spouse and relatives up to the forth degree. (1) For the legal activity, the applicant qualified to pass the test of a written request addressed to the Minister of Justice to issue the license to practice law. b) registration form for the organization of a lawyer under 32.
e) to the payment of the fine amount from the deadline referred to in art. Article 57. (1). c). (2) license and badge suspended lawyer whose business is to submit within 10 days, the Council of the Bar, which is retained during the period of suspension of work as a lawyer. (3) Council of Association shall, within 10 days from the date of suspension of work as a lawyer, to record this in the list of lawyers entitled to practice as a lawyer and to publish this information in the Official Gazette of the Republic of Moldova. d) if the lawyer has been sentenced for an offense under the criminal law and incompatible with the rules of attorney conduct of business. (2) A lawyer whose work has ceased shall return to the Council of the Association, within 10 days, license and ticket lawyer. (3) Council of Association shall, within 10 days from the date of termination of the lawyer, to record this in the list of lawyers entitled to practice as a lawyer and to publish this information in the Official Gazette of the Republic of Moldova. (1) Lawyer is a Moldovan national, graduated in law, which has limited capacity and an impeccable reputation, who passed the examination for admission to apprenticeship and which concluded with one of the lawyers making contract internship. (2) works under the supervision of trainee lawyer lawyer guide. (3) Advocate Trainee is permitted to grant a fee, legal aid clients in the courts, appellate courts and public authorities. (4) trainee lawyer is liable for the quality of legal advice and liable to disciplinary action as provided in Chapter IX. (5) trainee lawyer is subject to the applicable tax lawyers. (7) records of trainee lawyers are kept at the Council of Lawyers. (1) For the performance of ancillary activities in the legal aid office associate lawyers or lawyer's office may hire specialists from different areas in the specifics of these activities. (2) employment as a specialist is impossible in case one of the grounds specified in Article 10. (3). (3) has no rights specialist lawyer can not succeed in fulfilling the tasks independently of legal assistance. (4) specialist employee is obliged to observe professional secrecy. (5) business conditions and how to pay the specialist to determine the contract. (1) identification cards for lawyers and trainee lawyers issued by the Council of Lawyers. (2) models cards approved by the Council of Lawyers. (1) Admission to the internship is based exam, with the principles of transparency and equality. Arrangements for examination for admission to training status is determined by the legal profession. (2) The examination for admission to training may attend only those who meet the conditions required by law to practice law. (3) entrance exam training is organized by the licensing profession. (4) results of entrance examinations in training are approved by the decision of the Commission's licensing profession. (5) The decision on admission to an internship, be adopted and communicated to the person who passed the exam for admission to probation within 10 days of support. (1) The person who passed the examination for admission to training made mandatory a training professional for 18 months, having in the meantime, an attorney trainee. (2) internship performance conditions, rights and obligations trainee lawyer, the lawyer guide, and the bar over them, are regulated status of the legal profession. (3) internship is conducted under contract between the trainee lawyer and attorney advisor, registered with the Council of Lawyers. (4) mentor lawyer office must have sufficient space to provide internship to be served in the profession for at least five years and an impeccable reputation. A lawyer can guide lawyers while more than 2 trainees. (5) internship is suspended during military service or the concentration, if no reasoned or trainee lawyer for breach of professional guidance without his fault. Conducted before the training period be included in the internship. (6) After the internship, trainee lawyer qualification exam. After the expiration of three years of completion of internship, trainee lawyer may participate in the qualification examination only if repeat performance internship with a minimum of 3 months. (1) To be admitted to the profession, trainee lawyer qualification exam before the Commission the licensing profession. (2) A person who has not passed the qualifying examination can seek admission repeated after 6 months from the date of the exam. Trainee lawyer twice rejected the qualification examination will be admitted into the profession in terms of art. 18 and 19. (3) The organization of the qualification examination shall be the status of the legal profession. (4) results of qualifying examinations are approved by the decision of the Commission's licensing profession. (5) The decision on admission to the legal profession to adopt and communicate the skill to pass the test within 10 days of support. g) the opinion of the attorney agrees to be his advisor. c) Copy of diploma of doctor of law, as appropriate. (4) Submission of documents containing false information may serve as grounds to exclude the legal profession. (1) license to practice law is the only act that confirms the status of lawyers. (2) The license to practice law issued by the Ministry of Justice within 10 days of the filing date. (3) license to practice law indefinitely issued and is valid throughout the Republic of Moldova. (4) The decision on refusal of license to practice law may be brought to court. (5) licensed to practice law shall be issued against payment in the amount of 450 lei, paid on behalf of the Ministry of Justice. g) signature of the Minister of Justice, certified by the seal. (2) license form is a document of strict accounting. (3) license form approved by the Ministry of Justice. (1) register licenses to practice law issued by the Ministry of Justice take. f) signature of the attorney receiving the license. j) if not indicated the legal agreement, the fees charged by the customer or indication of reduced amounts. (2) The license to practice law be withdrawn by the Ministry of Justice pursuant to Commission resolution for ethics and discipline. For the case referred to. (1) d) license to practice law be withdrawn by the Ministry of Justice, the National Council proposal for the State Guaranteed Legal Aid Commission and after consulting the opinion of the Ethics and Discipline. (3) The decision to withdraw the license to practice law may be brought to court. "I, lawyer (insert name), about to make my contribution to the rights, freedoms and legitimate interests of man, to fulfill my duties conscientiously and honest lawyer to professional secrecy by my behavior, not compromise the lawyer's professional honor. " (2) The text of the oath is signed by the lawyer. Lawyer's personal file kept at the Council of Lawyers. Includes personal file copy of the license to practice law, the text of the oath, and copies of decisions issued by the licensing profession and the Commission on Ethics and Discipline. (1) Council of the Association, within 10 days of the date of admission to the legal profession under 12, the list includes lawyers lawyer entitled to practice as a lawyer. (2) Council of the Association shall publish annually, not later than December 25 in the Official Gazette of the Republic of Moldova list of lawyers entitled to practice as a lawyer. Lawyers list is published on the official website of the Union Association. Simultaneously copy resolves Ministry of Justice. (3) A lawyer whose work has ceased shall be excluded by the Council of Association, the list of lawyers entitled to practice as a lawyer. (2) A lawyer may be founded only a cabinet or a desk associate lawyers. (3) Name of lawyer office includes his full name. Associated Lawyers Office can name. (4) dissolution of the cabinet office associate lawyer or lawyers made under civil law. (5) Office and office associate lawyer lawyers legal contracts related record completed by lawyers and trainee lawyers with their clients. (6) Office and office associate lawyer lawyers working in legal and economic conditions equal and can not be discriminated from each other in financial, fiscal or otherwise. (1) the lawyer's office one practicing lawyer (founder of the cabinet). (2) Cabinet active lawyer and presented in a legal individual. (A) Associate office is founded by two lawyers and more lawyers (founders of office). Lawyers practicing on their own. (2) Associated Lawyers Office is the legal entity. (3) Associated Lawyers Office has bank accounts and stamp. (4) The relationship between the bureau lawyers lawyers are regulated on a contract basis. (5) Associated Lawyers Office is headed by a lawyer chosen by members of the committee. f) confirmation of the notification of intention record Bar Association. (2) Registration of attorneys offices and associated offices of lawyers is made by entering data in the register kept by the Ministry of Justice. In case of change in the number of lawyers, or the registered name change, new data is entered in the register. (3) Cabinet associate lawyer or lawyers office and be issued an extract from the register, which serves as grounds for making the fiscal accounts, for making the stamp and opening bank accounts. (4) refusal to register the lawyer's office or the bureau of lawyers can be brought to court. (5) The lawyer has the right to modify the organization of the work of lawyers in this law. (1) In order to protect their rights and interests, lawyers have the right to associate, on a voluntary basis under the law on nonprofit organizations, local professional associations, central and international membership based on individual or collective, and to register as required. (2) associations of lawyers, specified in par. (1), can provide material assistance to lawyers in these associations and their family members. (3) Associations of plants and international lawyers may have regional structures. (1) self-administration bodies of lawyers are organized and operate on the principle of autonomy, within the limits provided by law. (2) Election management bodies of the legal profession is by secret ballot. (3) collective management bodies adopt decisions by open vote. Deliberations and voting of professional secrecy. (1) self-Union Association is the body of lawyers, which includes all members of the Bar of the country, and is headquartered in Chisinau. (2) Lawyers Union is a legal entity has assets and budget. Union Heritage Association can be used in revenue producing activities, under the law. e) other payments prohibited by law. (4) The management of money accumulated Lawyers Union budget is checked every four years by an independent audit. d) general secretary of the Association. (1) Congress is the supreme organ of the Association. Congress consists of delegates of each bar lawyers, under the rule of representation set out in statute the legal profession, and members of the Union Association. (2) Congress meets every year in ordinary session was convened by the Council of Lawyers. Congress is convened at least one month before the date set by publishing the notice in the Official Gazette of the Republic of Moldova and by notice in writing of the bar, with placement on the official website of the Lawyers Union agenda and materials to be examined. (3) Bars are required to choose their delegates at least 10 days before Congress. (4) In exceptional circumstances, if at least one third of the number of bars or on its own initiative, Council of Lawyers Congress convened in special session within 10 days of the request or on event occurrence evidence. (5) Congress is considered legally constituted if his works are present in two thirds of the members. Congress adopts decisions by a majority of members present. Congress decisions may be appealed as provided by law. i) take other decisions on the work of the Lawyers Union, provided by law. (1) Council of the Bar is representative and deliberative body of lawyers in the country and ensure the ongoing work of the Lawyers Union. (2) Council of the Association is composed of president of the Association, deans bars and bars lawyers delegates according to the standard representation, established status of the legal profession. (3) Members of the Council of the Bar is 4 years. In case of termination of office of a member of the Council's replacement warrant executed difference. (4) Lawyers Union Council meets once a month. Council shall be convened at least 15 days before the meeting, by notice in writing to members and placed on the official website of the Lawyers Union agenda and materials to be examined. (5) In exceptional circumstances, if at least one third of the members of the Council of the Bar or on its own initiative, President of the Bar Council convened a special meeting within 5 days of the request or the date of occurrence of event supporting . (6) Council of the Association adopt decisions by majority vote. Lawyers Union Council decisions may be appealed as provided by law. a) perform other duties prescribed by law or delegated by Congress. (1) Lawyers Union President is elected for a term of two years of professional lawyers with experience in at least five years. The same person can be elected President of the Association for more than 2 consecutive terms. f) shall ensure appropriate conditions of business lawyers in court, the prosecution and public authorities. (3) In the absence, or on request, President of the Bar is replaced by a vice, it designates the purpose of the members of the Council of the Bar. (1) The organizational and administrative and financial economic Lawyers Union is insured by the Secretary General. (2) The Secretary General is employed by the Council of the Bar, on a competitive basis, for a period of five years, which may be extended once. (3) The Secretary General is committed person who has education and higher economic or legal experience in business at least five years. (4) The organization of the competition for the position of Secretary General shall be the status of the legal profession. j) exercise other powers indicated by Congress and Council of Lawyers. (6) general secretary is paid. The amount of remuneration is set by the Council of Lawyers. (7) During the mandate, the Secretary General is not entitled to cumulate other remunerated functions or activities, except for scientific and teaching. (1) The Lawyers Union committee is organized by its president, elected at meetings of the members. Lawyers Union committee members or delegates are elected for a term of four years. (2) The Lawyers Union meetings shall be convened whenever necessary, but at least once a month. (3) Lawyers Union Commission decide independently on the conduct of meetings (open or closed). (4) At meetings of the Lawyers Union may be invited representatives of offices of lawyers, attorneys and associated offices of associations of lawyers, and others. (5) Lawyers Union to take decisions by majority vote of their members and are mandatory for all lawyers. Public Lawyers Union Commission decisions adopted on the official website of the Union Association. (1) The licensing of the legal profession is composed of 11 members chosen on a competitive basis, of which 8 are lawyers with experience in the profession for at least 5 years and 3 are professors of law. (2) contest for the election of members of the licensing of the legal profession is organized by a special commission appointed for this purpose by the Council of Lawyers. The organization of the contest is determined by the status of the legal profession. d) approved qualification test results and make decisions on admission to the profession. (4) Decisions Licensing Commission of the legal profession may be appealed in the administrative procedure related to the organization of examinations. The score can not be disputed. (1) Ethics and Discipline Committee is composed of 11 lawyers, of whom six are elected by the Congress of lawyers with experience in the profession for at least 5 years and 5 are delegated by the bars. e) approve the model declaration under oath and good reputation assessment questionnaire. (3) Ethics and Discipline Committee members are bound by professional secrecy and not disclose information which is in the disciplinary proceedings. (1) The Audit Committee is composed of five lawyers with experience in the profession for at least five years, delegates bars. (2) The Audit Committee supervises financial and economic activity of the Union Association and reports to Congress. In exercising, self-administration bodies of lawyers are assisted by the Secretariat staff. Conditions of employment and personnel functions of the Secretariat shall be established status of the legal profession. (1) Bar is established and functions only in the Union Association, under this law. It prohibits the establishment and operation of bars outside the Association. Acts setting up and registration of such bars are not valid. (2) Bar working in a district court of appeal. From the composition of the bar are all lawyers constituency. (3) Bar headquarters is in the locality where the Court of Appeal. (1) The General Assembly consists of all lawyers registered in the list of members of the bar of that district. (2) Ordinary General Assembly meets annually, is convened by the dean. General meeting is made at least one month before the date fixed by notice in writing to members of the Bar and by posting the agenda at the bar. (3) In exceptional circumstances, at the request of at least 1/3 of all members of the bar or on its own initiative, dean of the General Assembly convene a special meeting within 10 days of the request or on event occurrence evidence. (4) The General Assembly is legally constituted if at the majority of members of the bar. (5) If the legal number is not met, Dean introduces a new general meeting within 10 days. General meeting convened under these conditions is legally constituted with the participation of at least 1/3 of all members of the bar. (6) General Assembly shall take decisions by majority vote of members present. The decisions may be appealed as provided by law. c) exercise other powers provided by law or under its competence. (1) Dean is elected for a term of two years and may be reelected only once. g) exercise other powers provided by law or under its competence. (3) If the temporary absence of the dean or otherwise unable to exercise its powers, is provided by the interim dean. The practicing lawyer is independent and subject only to the law, the profession of lawyer and the lawyer's Code of Conduct. Lawyer is free to choose its position and is not obliged to coordinate the position with anyone except the client. (1) prohibits interference in the Legal Profession. State shall ensure the freedom and protection in practice law without discrimination and without undue interference from its authorities or the public. (2) Search home or space in which the lawyer provides legal assistance, used it to transport, lift objects and documents belonging to the lawyer, control and raising postal and telegraph correspondence, wiretapping and other activities can not be made except by decision of the court. (3) A lawyer shall not be subjected to body search or personal control during professional duties, except in cases of flagrant offenses. (4) In case of retention of the lawyer or the criminal accountability, the body that made such measures shall inform the Ministry of Justice and the Council of the Association within 6 hours of the arrest or criminal responsibility. (5) Insulting, slandering lawyer, his threats, acts of violence committed against him during professional duties in relation thereto shall be punishable by law. (6) A lawyer shall not be questioned about the essence of his relationship with the person shall give or take legal aid. (7) courts and the prosecution lawyer assures professional space to exercise within the institutions concerned. (8) No public authority can not influence directly or indirectly and can not control the contract between lawyer and client. f) provide the competent authorities and the media requests and requests, lodge complaints and petitions established the actions and decisions that violate client rights and the rights lawyer practicing. (2) If the persons responsible official of par. (1) d) punishable by law established. (3) The legal assistance to detainees held in custody or convicted, the lawyer shall, at any stage of a criminal or administrative conditions for meetings and consultations, respecting confidentiality, without limiting the duration and number meetings and consultations. (4) Persons responsible official bodies charged with oversight of detainees held in custody or convicted are required to allow free access of lawyers to the person under contract for legal assistance. (5) Failure to comply with paragraph. (3) and (4) constitutes an infringement of defense and punishable by law established. (6) requests of the violation of par. (3) and (4) is examined by the court. (7) A lawyer may specialize in certain fields of law and to practice according to specialization. d) to receive the bodies of lawyers self methodological and legal assistance necessary for the profession. k) to comply with the Code of Ethics statute lawyer profession. c) the prosecution or investigation of the case data, included a person the lawyer is in family relationships, family or close family to him. (3) The lawyer is not entitled to act contrary to the interests of the client, to take a legal position without coordinating it with him (unless the client admits guilt), to refuse, without due cause, defending the suspect, defendant or of the convict, who had obliged. (4) The lawyer has no right to plead guilty client if it does not plead guilty. Customer recognition of guilt does not deprive the right lawyer to contest the charge and require payment to the client. (5) Advocate is prohibited from taking part in the process without prior knowledge of material file. c) carry out some tasks of self-administration bodies of lawyers if not undermine the exercise of his profession. (1) The lawyer is not entitled to disclose confidential information have been disclosed during legal assistance and to transmit, without the customer, third parties documents related to the exercise of delegation. (2) The obligation of professional secrecy is not limited in time. (1) Disciplinary Counsel responsible for actions that violate this law, rules of the Code of Conduct for lawyers and other normative acts that regulate the legal profession. (2) Petitions for action lawyers and information about disciplinary offenses committed by the lawyer during professional duties, shall be examined by the Commission on Ethics and Discipline. If there are sufficient grounds, has a control board. Control is performed by members of the commission or be the responsibility of the bar. (3) Ethics and Discipline Committee should ask the lawyer who was brought disciplinary procedure explained in writing altе documents and materials necessary for a decision objectives. (4) If it is true some violations committed by a lawyer, Chairman of the Ethics and Discipline presents material about the lawyer concerned to review the commission. (5) Examination by the Commission on Ethics and discipline of materials related to disciplinary proceedings are disciplinary offenses. c) the lack of violations in action lawyer. (7) Ethics and Discipline Committee decision is made public. (8) A lawyer who was brought disciplinary proceedings is entitled to attend the examination question on holding him to disciplinary and to account directly for Ethics and Discipline Committee. e) withdrawing the license to practice law (under Article 25 para. (1). (2) The disciplinary sanction taking into account the seriousness of the offense, the circumstances in which it occurred, the lawyer's work and behavior. (3) Ethics and Discipline Committee decision on disciplinary sanction may be appealed in administrative court. (1) Disciplinary proceedings may be brought, and brought the ranks, if the offense since the last one year. In this case it is not taken into account by the lawyer during temporary loss of working capacity, her whereabouts during the holidays and stay proceedings in disciplinary proceedings. (2) Disciplinary sanctions shall be applied at more than two months from the date the violation was found, without taking into account by the lawyer during temporary loss of work capacity and leave her whereabouts. (1) If within one year from the date of application of the disciplinary sanction sanctioned lawyer does not commit a new offense, it is considered that it was not subject to disciplinary sanction. (2) Ethics and Discipline Committee is entitled to cancel the disciplinary sanction, up to the expiry of one year, on its own initiative, at the request of lawyers under the bar approach or association of lawyers. (1) legal aid lawyer client based legal assistance agreement concluded in writing. (2) Powers of attorney attested by mandate. Mandate form is a document of strict accounting. Content, form and use the mandate approved by the Government. (3) A lawyer entitled to leave, to social security benefits and state pension. (4) Establishing and paying social security benefits and state pensions lawyers is made by law. (5) Lawyers are entitled to establish, as required by law, funds for social needs (retirement, insurance, etc..). (6) The period includes the profession of lawyer in seniority. (1) To ensure the material damage caused in the profession, the lawyer is entitled to conclude, under the law, civil liability insurance contract. (2) The minimum amount insured for one year of activity is determined by the Council of Lawyers. The lawyer is obliged to come to the hearings in the dress code of ethics lawyer complies. (1) The lawyer is required to wear robes in court. (2) The coat is approved by the Council of Lawyers. (3) Wearing coat outside the court premises is prohibited, unless the lawyer is appointed to represent the profession bar bodies an occasion that requires this outfit. (1) Labor lawyer is paid on the account of fees received from individuals and businesses. (2) The size of the fee is established by agreement and can not be changed by public authorities or court. (3) The State shall provide legal aid lawyers' remuneration in accordance with the Law on State Guaranteed Legal Aid. (4) Costs incurred by customer in connection with providing legal aid lawyer to defend its legitimate rights and interests in criminal, civil and administrative matters to be compensated in full and proportionate requirements accepted (rejected) by the opposing party. (5) Expenses incurred in connection with the lawyer providing legal assistance in criminal investigation and criminal court cases, civil and administrative settlement of the case shall be charged while in the background, without the prior litigation proceedings. (1) Advocate is prohibited from using, directly or through another person, procedures incompatible with the dignity of the profession for customer acquisition. (2) Advocate is prohibited from using means of advertising or publicity by the processes specified in par. (1). (3) Lawyers Union shall define the cases and whether the lawyer may inform the public about his business. (1) The state guarantees the opportunity to practice lawyers and contribute to creating favorable conditions for this purpose. f) approve the documents provided by this law. c) ensure, in collaboration with self-administration bodies of lawyers, other measures to ensure free access to qualified legal assistance. Council of Advocates and lawyers associations establish relationships with similar organizations in other countries and international organizations of lawyers and jurists. (1) Upon entry into force of this Law, persons who were licensed attorneys in the Law No. 395-XIV of 13 May 1999 on the law. Members of the Association, and persons practicing lawyer in the license for legal assistance within three months from the date of publication of this law shall obtain a license to practice law without qualification exam, against payment in the amount of 360 lei, paid on behalf of the Ministry of Justice. (2) Issuance of licenses to persons specified in par. (1) shall be made by the Licensing Commission, established by the Ministry of Justice under Law No. 332-XIV of 26 March 1999 on licensing of some types of activity. (3) Offices of lawyers registered with the Union of Advocates, will re-register within three months from the date of publication of this Law, the Ministry of Justice. Offices of lawyers who will not re-register will lose their status. (4) Ministry of Justice within 10 days of publication of this law, will form the number of lawyers, led by a deputy minister of justice, a commission for the preparation and convening Congress lawyers. Commission concerned Congress will convene before the entry into force of this law. (5) The first meeting of Congress until the election of the President of the Council of the Association, will be chaired by the Chairperson specified in par. (4). (6) making contracts internship concluded before the entry into force of this law shall be made within one month from the Licensing Commission of the legal profession. Unregistered agreements will not be considered to support the trainees qualifying examination. adopt necessary regulations for implementation of this Law. (8) Determine that operation until legislation changes resulting from this law, in case of contradictions between the law and this law will apply this law. This law comes into force 3 months after publication, except 67 which enter into force on publication. The entry into force of this Law, the Law No. 395-XIV of 13 May 1999 on the law.